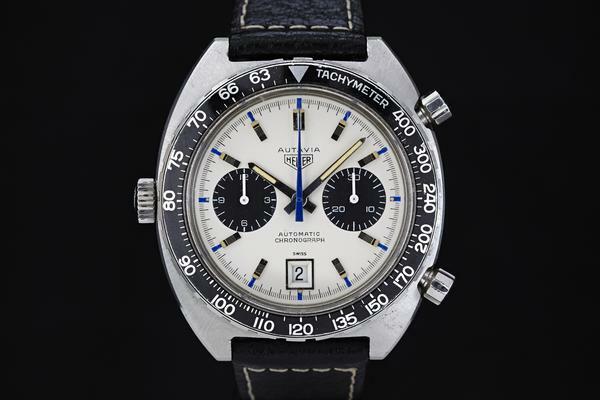 You could say the Heuer Autavia Ref. 1163 is from the heyday of the chronograph. That iconic ‘panda’ face has been beloved since its namesake, Formula One driver Jo Siffert, began sporting it back in 1969. That should sound familiar. 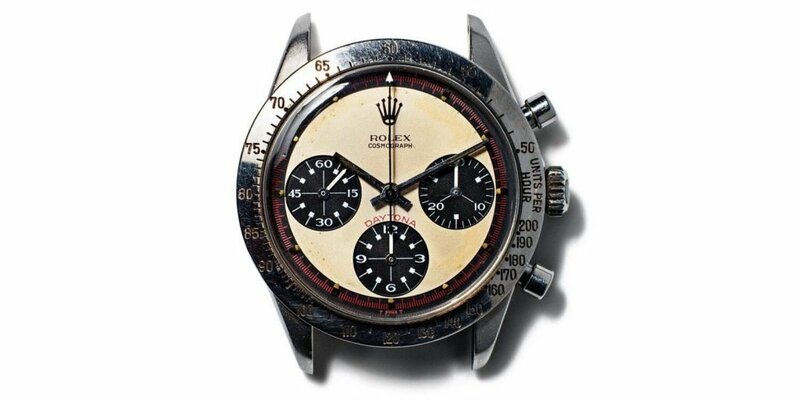 Rolex’s white and black face chronograph, the Daytona, shot to popularity at the same time, as racecar driver Paul Newman began sporting one himself. But let’s not get sidetracked here. While Newman was circling the track in the States, on the other side of the pond, the Swiss Siffert was lapping the competition and securing sponsorships of his own. He caught Jack Heuer’s personal attention when he won the Formula 1 British Grand Prix in 1968, and by the next year, he’d slapped a logo on his overalls and was wearing the brand new 1163 on his wrist. 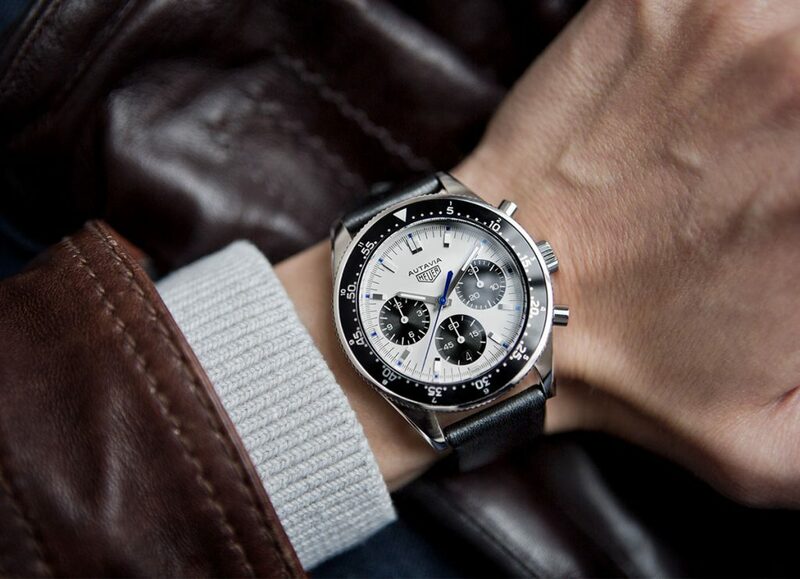 That iconic face and celebrity endorsement quickly caught the world’s attention and solidified the Heuer Autavia Ref. 1163 as one of the holongeries most famous vintage chronographs and race watches. 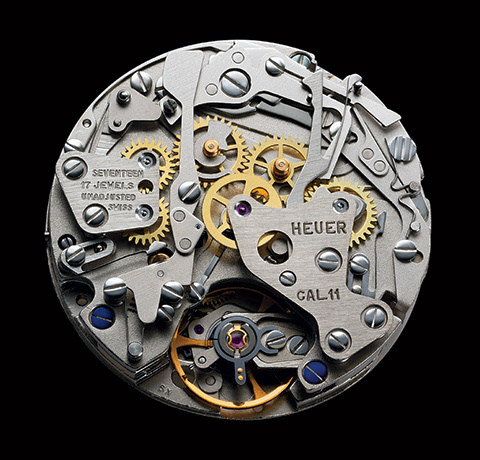 The watch was also groundbreaking mechanically, as the Calibre 11 (with 17 jewels) debuted in the Heuer 1163 was the first automatic chronograph movement to hit the market. Heuer developed the movement alongside Breitling, Hamilton/Buren and Dubois-Depraz to beat out Zenith and Seiko. 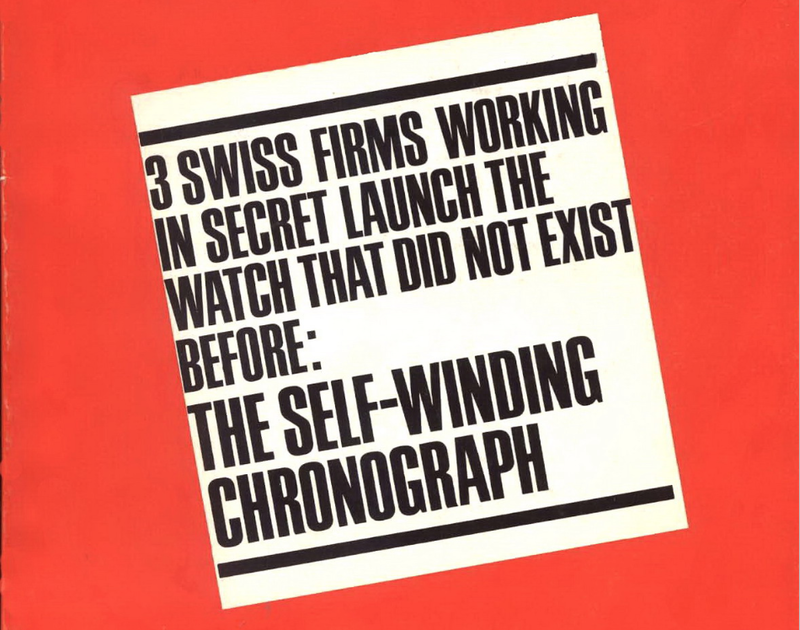 Project 99, as it’s known today, produced three separate automatic chronograph calibers later that year. Now, while we might have referred to that famous white and black face as a ‘panda’ before, in reference to Heuer, and the 1163 specifically, it’s called a Jo Siffert face. Defined by those two black subdials at three and nine and the date at six, it’s one of the rarest models on the market today. If you look a little closer you’ll also notice those striking cobalt blue accents above the black “ridged” steel luminous baton numerals. The color travels around the face painted on the arms of the hands, too. The handsome, bold look of this watch is just as impressive today as it was half a century ago. But while it’s easy to fall in love with this watch, it’s hard to get your hands on one. If you’re interested, be sure to check out the Siffert 1163 we recently sold and sign up to get notified when we have one back in stock.